Kipato Unbranded is a social enterprise that works with local artists from informal settlements like Kibera and Dagoretti Market who make jewellery, promoting their skills and allowing them access to markets. 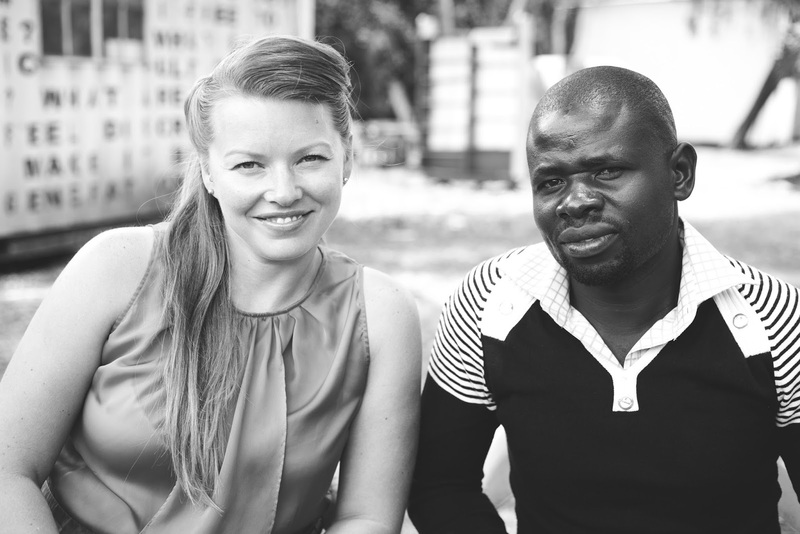 Independent jewellery makers (like Elijah and Ojiko who work with Kipato) in lower-income neighbourhoods like these rely on employers to give them access to larger markets. While the industry thrives on work from artists like these two, their salary is entirely dependent on their employers, and often they only receive a small proportion of the profits their work generates, despite the fact that their pieces are mostly aimed at high-end luxury stores, selling at prices that are often out of reach for many Kenyans. Out of the need for enterprises that offered fair wages to artists, and to make their work accessible to more Kenyans, Kipato Unbranded was born. It was founded by Marta Krajnik in August 2015. 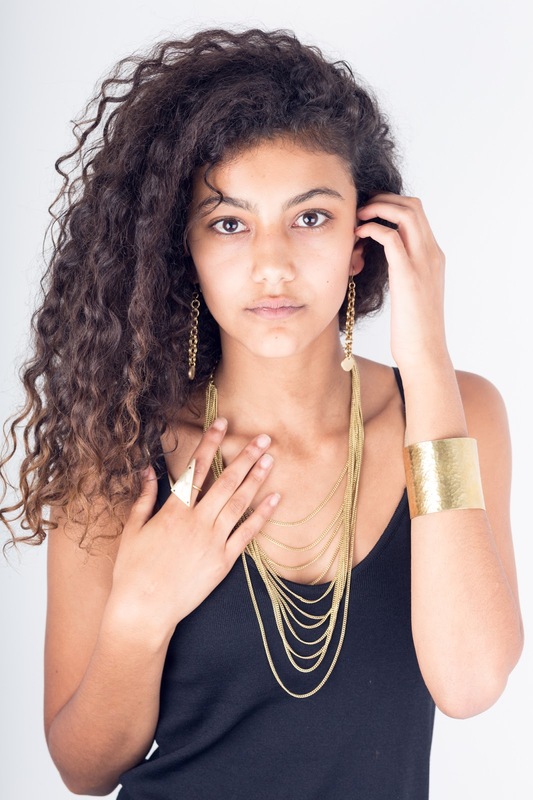 Emphasising on ethical fashion and practices, Kipato Unbranded creates jewellery that is inspired by everyday people for everyday people, and all their pieces are made from local materials, including brass, recycled bone and beads. Their shareholders are a group of five young women from different cultures and backgrounds who are committed to seeing this vision and mission exceed in every possible way by contributing their skills. Kipato means ‘income’ in Swahili. The name itself conveys the company’s mission to empower its artists: 50% of all profits, whether the pieces are sold locally or internationally, go directly to the artists who create the jewellery. The second word in the name, ‘unbranded’, emphasises the fact that Kipato Unbranded is not trying to be a typical ‘brand’, but rather, is focusing on creating accessible jewellery for ordinary people. Kipato Unbranded definitely embodies simplicity, accessibility and empowerment. Their collections are versatile- able to be worn at high fashion events as much as they are for low key coffee dates with friends. An environmentally responsible enterprise, Kipato ensures that their products are created from recycled materials, and that their packaging is ecofriendly too. What is your favourite Kipato Unbranded piece, and why? What is the best compliment you’ve received about Kipato Unbranded’s pieces? The best compliment is when customers return to get more jewellery! We had done some custom-made brass belts for a couple of journalists for CNN for The African Journalism Awards back in October 2015. The ladies really rocked them, and we made the red carpet! What sorts of events does Kipato Unbranded host in & around Nairobi, and are there any coming up? Kipato Unbranded hosts pop-up events; we had one Christmas Rooftop special in December 2015, and we recently have partnered up with Marula Mercantile in Karen to do a monthly Boozy Brunch Pop-Up that has gone extremely well! We catered for the live music of the event and also got other exhibitors to come and showcase their artwork and products, such as ProkraftAfrica, Love Tess, Linda’s Nut Butters and Masungula Krafts. Why do you think there has been more of a shift toward ethical fashion in recent times? I think more and more people want to know where their products are coming from and want to promote fair trade. Large retailers are getting a lot of criticism for subjecting their workers to dangerous working conditions, such as some of the textile producers in Bangladesh. The more this is published in the media, the more people are aware of unfair conditions and want to ensure they are investing their earnings into a product that gives a fair wage to its maker. If you could choose to dress any celebrity in pieces from Kipato Unbranded, who would it be and why, and which pieces would you want them to wear? Hmm not sure, but I love Jess Glyne the singer! Her style and jewelry pieces, (she wears a lot of brass) were definitely the inspiration behind the midi-rings….we have thick and thin ones….she loves to wear them and mix them up with other metals such as aluminum and copper. We have the plain brass ones and I love how they look! You can stack them any which way and dress your fingers up to your hearts’ desire. If you could go back and give yourself some advice as you were starting out, what would it be? I think I would definitely have done more strategic planning; I am very much an action-oriented person so my instinct is to do something and then learn from it – trial and error. However, some more analytical thinking is required to ensure your business is a success and I think we can do a lot more of that, especially at this stage when we are growing so fast. Where does one go in Nairobi if they want to buy jewellery from Kipato Unbranded offline? We are now available in various outlets – we have our products at The Arbor off of James Gichuru in Lavington, in Marula Studios in Karen, and also opening in Wasp and Sprout in Loresho. We have two outlets in Mombasa, as well as one in Nakuru. We are also on Jumia and Rupu. Where do you hope Kipato Unbranded will be in five years? I'd love to employ more artists and design new creations! I would also like Kipato Unbranded to become a household name and eventually partner with a clothing line to complement our jewelry. We are constantly improving our ways of working and interacting with our customers, so we hope to launch a solely Kenyan website soon- I’m really looking forward to that. All in all, success in 5 years and even more success in 10 years! Interested in learning more about Kipato Unbranded, and buying some of their gorgeous jewellery? Check out their website and Facebook page! Liked this post? Don't forget to comment and let us know! 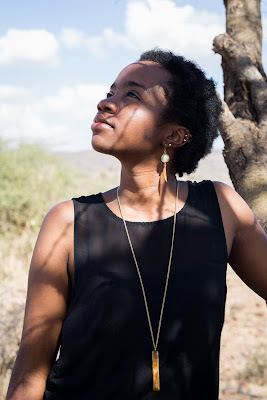 As I work on a post about a cool jewellery brand in Kenya, I thought it'd be nice to share some of my previous work- more on the creative side, if you will. This is a video I'd done about 4 years ago for a photography project, and the accompanying text. I'd love to hear what you think! Project C Final from Roshni Walia on Vimeo. finally, their future and all that this future brings. opens to reveal a sky that is lit up and seemingly limitless. inspection, it is not quite as simple as that. slightly illuminated by the light beyond them. photographs that I had to force to work together. subject, and how this studio seemed to elevate and yet equalise all. I've known Gurdeep for almost 10 years now, if not more, and I've seen him wear many hats. A dedicated and hardworking entrepreneur, Gurdeep is also someone who knows how to handle life when things get rough, and he is ever ready with a smile, a infectious laugh and a 'Gurdeep joke' for those around him. I've been lucky enough to get to know him, not just as an inspirational family member, but as a colleague with an incredible work ethic, and I knew I definitely had to share his story with the rest of you! Quite varied and spread out actually. We moved around a lot growing up, and I think this was a great experience for me as it taught me how to adapt quickly to new surroundings and cultures and more importantly, taught me to focus on the present and the future rather than dwell on the past because otherwise you wouldn’t be able to integrate into the new schools and towns/cities. 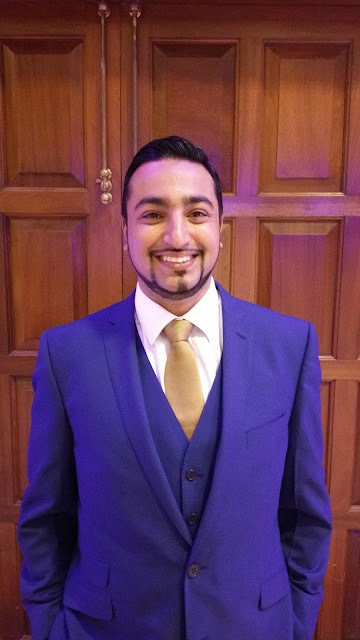 Here's a little snapshot of Gurdeep's educational background: from Lions Nursery School and Lions Primary School in Kakamega (Kenya), he went on to Winterbourne Boys School in Norbury, (London, U.K.). From there, he was home schooled in Torrevieja (Alicantee, Spain) and then moved back to the U.K., where he attended Grange Middle School and Whitmore High School, both in Harrow (London, U.K.). This was followed by a move back to Kenya, where he pursued his O' and A' Levels at Kisumu Academy (Kisumu, Kenya) and Greensteads (Nakuru, Kenya) respectively. To top off this impressive journey, he graduated with a 1st Class Masters Honours in Electrical & Electronic Engineering from UMIST (Manchester, U.K.)! What made you decide to start Sembisoft? After graduating, I went to work for Bentley Motors in their infotainment team. The project I was assigned to had an almost impossible timeline, but we worked really hard to deliver it with 90 hour weeks- not uncommon at all. I put everything I had into that project, and we managed to deliver it on time against the odds. There were some great perks on the project too, but definitely a lot of hard work. We completed the project at the end of 2008, just as the recession was taking grip on the economy. The automotive sector as a whole was struggling and we had pay cuts and redundancies at Bentley. Having just completed such a gruelling project, I was in line to get a decent pay rise having proved myself, but unfortunately, this was not possible due to the financial situation. My managers tried hard for me, but it wasn’t possible and I made the decision to leave. I knew for sure that I could not have worked that hard for 2 years to get nothing back at the end of it. I can live with it if it is due to me having screwed up, and that is what made me decide that I had to take my success into my own hands and so, Sembisoft was born. What/who gave you the courage to quit your 'desk job' and start your company? A lot of it was due to circumstance. I wanted to be in control of my own success/failure and I believed in myself and knew that I could offer services that clients would be willing to pay for. I had done enough freelance work to know my skills would allow me to make a living and hopefully build a business around them. I couldn’t just start working for myself when I left Bentley, as I had no financial support behind me, so I initially had a day job for about 2 years where I left at 5:00 pm everyday and by 6:00 pm, was working on Sembisoft- usually till around midnight or 2:00 am. I did this until I had built up my client base sufficiently. I have to say a big thank you to my wife for sticking it through with me as we had just gotten married, and all my evenings and weekends were taken up with work. What are the 3 most important principles you believe an entrepreneur should live by? Even when things go wrong- and believe me they will- be honest with your clients. They will understand and appreciate that you are doing everything you can to resolve the issues, and more importantly, put measures in place so that it doesn’t happen again. Don’t try to squeeze out every last cent from your clients. Look after them, take an interest in their business and its success. This builds more of a partnership and the better they do, the better you will do in the long run. There will be times when you wonder if it is all worth it and that guaranteed paycheque seems like the promised land! Believe in yourself, and why you are doing what you are doing in the first place. You must also value your time. Just because you can now do a task in 1 hour instead of 3, doesn’t mean you should only charge for 1 hour. All the experience and extra hours you spent learning the ropes and learning how to spot what to do quickly and then doing it quickly too also has value, so make sure you charge what your value is, but remember: don’t be greedy, be fair! If you could go back and meet yourself 5 years ago, what advice would you give yourself? I’d tell myself to read Zero to One by Peter Thiel, although I would need a time machine as it was published in 2014! But honestly, this book changed my mindset completely and it makes so much sense. It changed my thinking on how to evaluate opportunities to see if they are worth pursuing. When you start out, you will have a lot of ideas that you think are the best thing ever, but you need to really evaluate them carefully and in a detached manner to see if they will seem as appealing to someone other than you or your family/friends. But I would definitely tell myself to stick it through and that this was the correct path to go down. You've started to diversify Sembisoft recently (with Wedeze and different plugins). What made you decide to do so? Our vision has always been to develop products and not to be a service-only company. Our Wedeze Wedding Websites product, for example, is one we are passionate about, and we believe it solves a very real problem in organising weddings. We want products that actually make a difference to how and what people do with their time. We want to free up their time from the mundane tasks so that they can focus on tasks where they can add maximum value. We still want to offer custom web and app development services, but we are selective about the projects we take on; we must believe in them and be fully invested in their success which means that the end product for our clients is something we are proud of and want to shout about. As an entrepreneur (and recent father), how do you balance your work/nonwork life? In short- you don’t. I have read a lot of books and articles on work-life balance because it is a real issue. But I think the whole work-life balance thing is a myth. You have to think more about what constitutes success for you and your family. Success is also being able to spend time with your family everyday and everyone has to buy into what that definition of success is. So that when the weeks where you have to work 90 hours come around, everyone understands why, but by the same token you have to make sure that it is the exception rather than the rule. The key is that you shouldn’t expect balance on a daily basis. Try to balance it over four weeks, which is a more realistic expectation. Also have some non-negotiables. For me that is my morning time with my son when he wakes up. I feed him, have some play time, get him ready for nursery and then get him in the car. My wife also works so she gets ready for work in the morning while I sort him out and then she drops him to nursery. In the evenings, my wife feeds him and bathes him, and we both have some playtime with him so that we both get to spend a decent amount of time with him everyday. If you could have a dinner party and invite any three people, dead or alive, who would they be? Any advice for budding entrepreneurs? Be prepared to work hard- there is no substitute for that and it is the minimum requirement. Be prepared to sacrifice your free time and forget any ideas you have of being in total control of your time. In reality, your projects and their deadlines will control your time although you try to manage this to give you as much flexibility as possible. But it is definitely worth it. The highs are amazing and will give you a sense of fulfillment that you simply can’t get by working for someone else. Make sure you do your homework on the market you are entering, and read Zero to One by Peter Thiel; it changed the way I think about business and opportunities completely! If you weren't in this line of work, what else would you be doing? I think I would be working for a startup with a unique idea that I believed in. What are the challenges you've faced in your journey of entrepreneurship that people might not have realised? The biggest challenge has been trying to build and develop some of our ideas while still trying to make ends meet. I had no financial backing or savings when I started out, so this made it doubly difficult because projects that pay the bills take precedence over developing some of your ideas. We will look for proper investment in some of our products to take them to the next level so that we can develop them quicker and get new features to our clients faster. If you could sum your company up in five words/phrases, what would they be? Haha, what free time? I generally try to spend as much of the limited free time with my wife and son, and then whatever is left to keep fit by playing Squash competitively in the local leagues. If you were invited to give a TED talk, what would the topic be? Not education in the traditional sense, but teaching academically or practically. In developing countries, there are so many bright kids who can go on to do great things but never the get the chance to expand their horizons. What did you think of this interview? Let us know in the comments below, or feel free to reach out on Facebook or Twitter!